Show off! 5 of your best blog posts. Surprisingly 3 of my top 5 have to do with my favorite authors. Two feature Stephen King. Go figure! Another has to do with the night I met Robert McCammon and actually rode in a care with him. Can you imagine riding in a car with an author you have followed and adored for over twenty years!? 1. Happy Birthday Stephen King! 2. A Conversation with Stephen King. 3. The Night I Got To Ride in a Car with Robert McCammon & Sherilynn Kenyon (or, best night EVER)! 4. Midnye Finds: Bling's The Thing. 5. Book Blogger Confessions: Blogging Controversies. What about you? Do you have any posts that you are particularly proud of? I'd love to know. 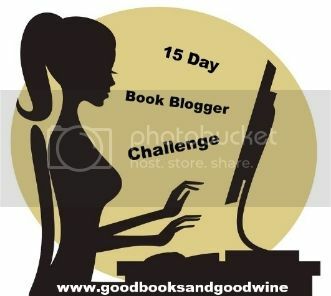 Labels: 15 Day Book Blogger Challenge, 5 of my best posts!